'If choice between agreement and operation run by Netanyahu, Liberman, and Bennett, I choose agreement," Gabbay says. 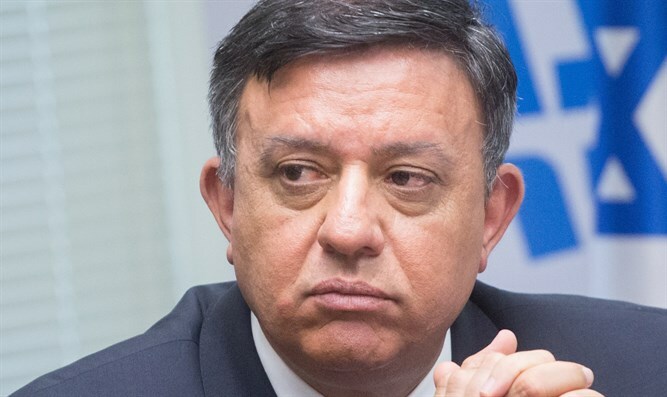 Zionist Union Chairman Avi Gabbay addressed the issue of contacts for a political settlement in Gaza this morning following the weekend's incidents. "In the current situation, if the choice is between an agreement and an operation run by Netanyahu, Liberman, and Bennett, I choose an agreement," Gabbay said. "When I look at the level of internal politics and the results of Protective Edge led by this trio, I simply don't trust them to conduct another military operation," he said. Internal coalition conflicts continued this weekend against the background of the situation in the south and negotiations with the Egyptians. "Liberman chose a surrender that would lead to war. His hesitancy and the insane notion that talks with Gaza residents will topple Hamas and bring security to Gaza area residents are absolute nonsense and irresponsibility," Minister Naftali Bennett told Yediot Ahronot. "The same Liberman who declared he'd topple Hamas and destroy Haniyeh now rewards them at the expense of Israel's security," he said. "Anyone who appeases terror brings terror - and Liberman appeases. His approach endangers the State of Israel and will lead to an inevitable confrontation under conditions that Hamas dictates at a time convenient to it. "The policy of the Israeli government is determined by the cabinet, at least by those present at those meetings," said a Yisrael Beiteinu spokesman, who said Bennett's words constitute nothing more than election propaganda and that he is endangering IDF soldiers: "Anyone willing to sacrifice our soldiers' blood on the altar of political considerations isn't worthy of dealing with security issues. It's preferable he devote his time to opening the school year for which he's responsible."